Listed in the Lonely Planet as a top attraction and 5th on Google, we decided that this museum sounded rather interesting. 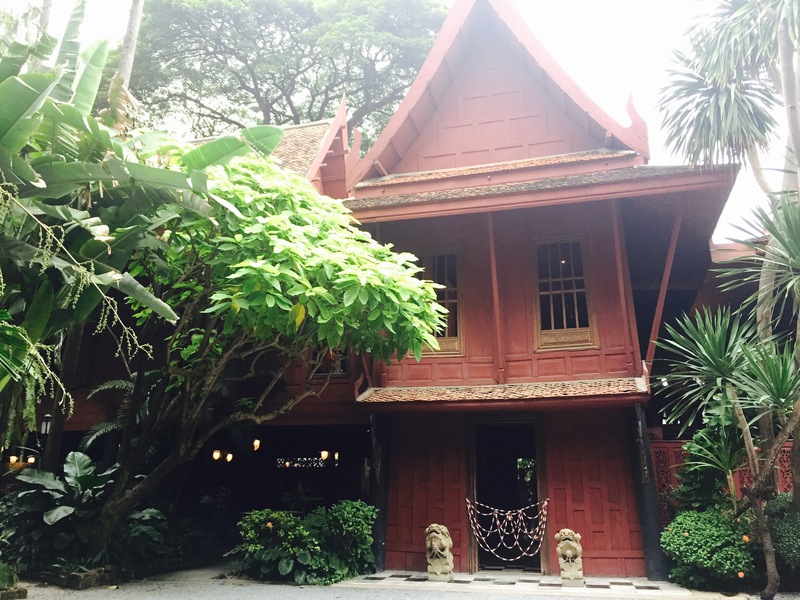 Near Siam square, Jim Thompson house is a tranquil paradise in an urban jungle. Jim Thompson was an American who moved to Thailand and revolutionised the silk industry, taking what was a declining cottage industry and turning it into a globally sought after product. 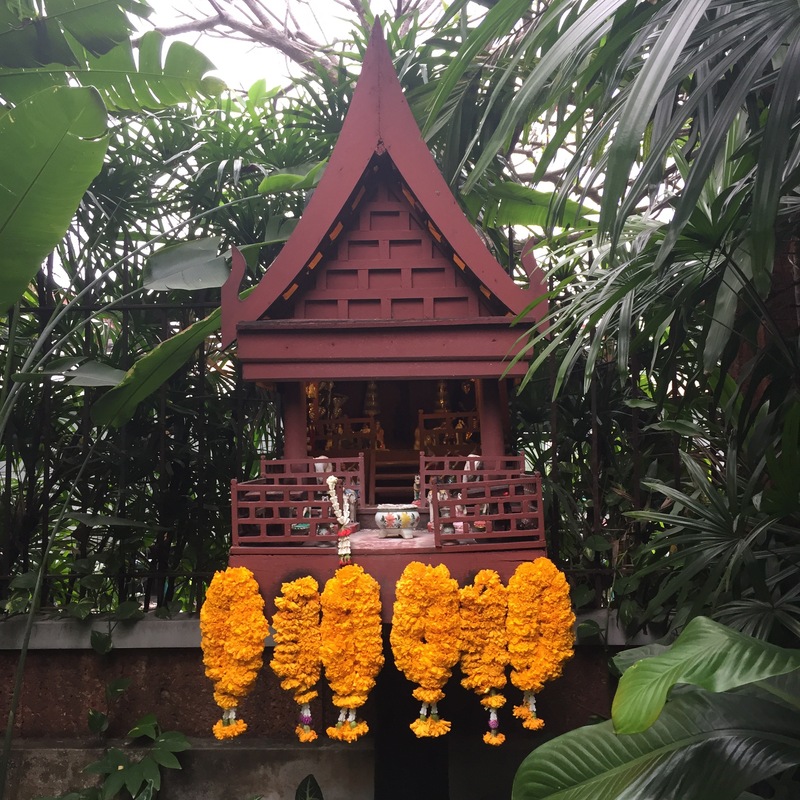 In 1967 Jim disappeared while taking a short walk in the Malaysian Jungle and his home is now on display to the public to showcase his devotion both for Thai culture and silk. Thompson loved traditional Thai buildings and decided to construct his own property using this style; with a few western tweaks. He took 6 traditional Thai houses and attached them to one another. Whereas traditional teak houses had many separate buildings, Thompson wanted to move through his house without having to go outside. 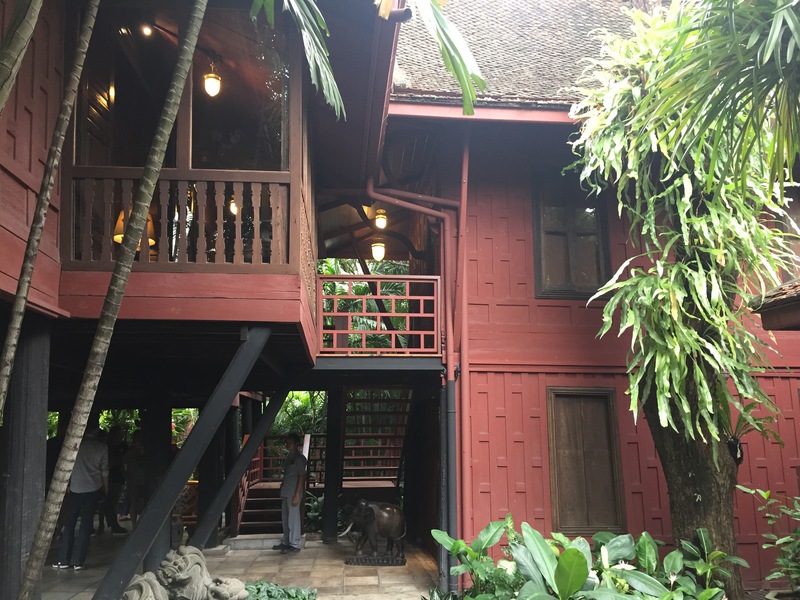 He also put stairs and a toilet inside of the house, which are things traditional Thai houses had on the outside. The artifacts on show within the house also show Thompson’s love of historical pieces, which include Buddha statues up to 800 years old and antique chandeliers from Thai palaces. The guides were so informative and it was nice to visit something different within the city. The koi were so mesmerising to watch! A real gem in the middle of such a busy capital!